Are you or your cheerleading group attending The Cheerleading World Championship, Cheerleading Summit, D2 Summit at Walt Disney World this year? We are happy to work with your group to help you come up with a custom Magic Band Skin design that shows your Cheerleading groups name, logo and colors. We can even ensure that each member of the group has their own band, personalized with their own name. 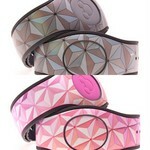 Please Contact Us to have us help you and give you a quote for your Summit Magic Band Skins. Of course, we are happy to work with other sports teams, parties and groups! We're rapidly approaching the end of 2018! Throughout the holiday period, as always, we will be accepting orders 24 hours a day, 7 days a week and will be responding to email enquiries as quickly as we can. Live chat will not be available throughout the December 25th and 26th. We can accept orders for pre-Christmas delivery via FedEx up to close of business on December 19th. Our last shipping day will be Friday December 21st and shipping will commence again on December 27th. You can still place orders throughout this period and any orders received will be prepared ready to dispatch as soon as mail and FedEx resume their services. Please note that due to Christmas post, delivery times for free shipping (using USPS) may lengthen slightly. Thanks to all of our customers that have helped us build a great and fun business throughout 2018. We're looking forward to an exciting 2019 and wish everyone a very Merry Christmas. New Silver Material for MagicBand 2 Skins! Today we introduce a band new Silver Material for our MagicBand 2 Skins. This provides us with a massive new range of options and a wealth of new design ideas that we can bring. The whole range of Silver Print MagicBand 2 Skins is available right now! Epcot Inspired MagicBand 2 Skins are back! Six months ago Disney released MagicBand 2. Whilst it was exciting to get a new style MagicBand and have one with more space for our designs, it resulted in a bit of a scramble to update all of our 350+ designs for the new style of MagicBand. 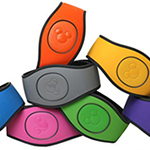 As previously mentioned, Disney have announced MagicBand 2, a redesigned or reimagined MagicBand that is a different shape to the existing MagicBands on offer.